Now it is time to program the BAT Sleeve. I will be giving you the actual source code to use which will be free to modify all that you wish. But before we do that, we need to have some software to actually compile the source code and transfer the program to the Arduino. To do that, go here. This is where we will download the Arduino Integrated Development Environment, or IDE for short. If you scroll down just a bit, you will see download links. Download the one made for the operating system that you are currently running on your computer. While you are there, look around a bit! There are amazing resources and project ideas on that site for the student who is willing to take the time to look. Go ahead and install the Arduino IDE now that you have downloaded it. If you need further directions on the installation process, you can find them here, under the heading 'Installation'. 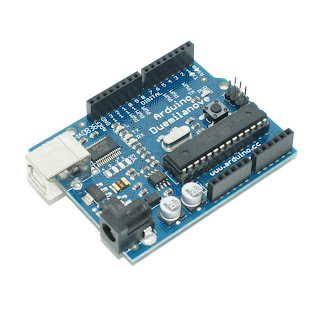 I am going forward with the assumption that you have installed the Arduino IDE. If you have not installed the IDE, you will not be able to complete the following instructions. Download the source code for the Bat Sleeve. You can find it here. Open up the ZIP file and extract it to your computer. Make a note of where you extracted it to. Open up the batsleeve.ino file with the Arduino IDE. Look for the line near the top which looks like this: #include "C:\batsleeve\pitches.h"
Now that everything is pointing to the right place, we can program the Arduino. Plug the USB cable into the Arduino, and the other end into your computer. Now in the Arduino IDE, select 'File', then select 'Upload'. The IDE will now compile the source code and upload it to the Arduino. Assuming everything went well, you should hear a tone when you place your hand in front of the sensor. If you move your hand away, the tone should lower in pitch. If you move your hand closer, it should increase in pitch. If something is in fingertip distance, you should hear constant pulses of sound. If something suddenly breaks in front of your hand, you should hear a brief beep. You can now unplug the USB cable. The Arduino will store the program using the magic of science. If you want, you can now plug in the battery pack to take the electronics mobile. Next time: Building the actual sleeve! Today we will be assembling the electronics for our glove. 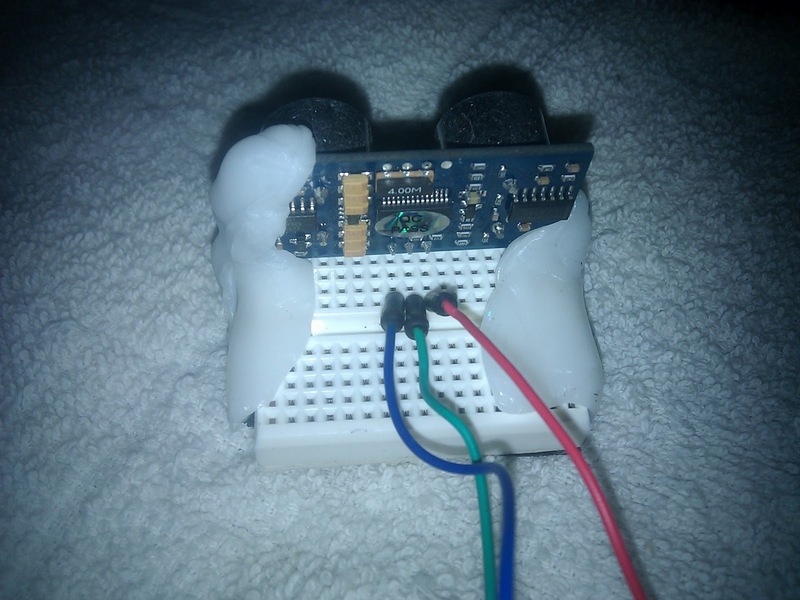 It won't be quite ready to play with though, tomorrow we will still have to program the little guy, but once the programming is done, you will be finished with the electronics completely! Lets get started! The first things we need are your Arduino, mini-breadboard, PING))) sensor, speaker, and wires. For now, set aside your USB cable and battery pack. 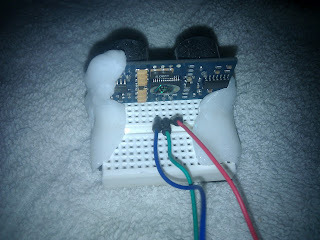 Plug the PING))) sensor into the breadboard so it looks like the photo. Ignore the plastic molding on the sides, that will be covered in a later step. 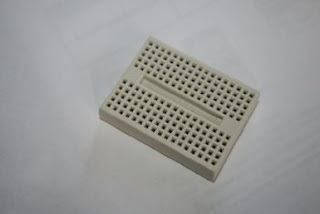 It is important to note that the sensor needs to be placed parallel to the thicker groove in the center of the breadboard. Notice that the sensor is parallel to the grove in the center of the breadboard. Now we have to do our wiring. Pull out three wires, with the colors blue, green, and red. The colors don't matter, but it will make it easier for you to follow the directions. On the front of the sensor you will see that the three pins are labeled GND, 5V, and SIG. Plug the blue wire directly behind the SIG pin, the green wire behind the 5V pin, and the red wire behind the GND pin. If this is confusing, refer to the photo to see how it is done. Do it just like this and you can't fail. Here comes the fun part. You are going to wire up the Arduino! No need to be terrified, it is actually remarkably easy! Take the other end of the blue wire, and plug it into port 2 on the Arduino. Take the other end of the red wire and plug it into one of the GND ports on the Arduino. Finally, take the other end of the green wire, and plug it into the 5V port on the Arduino. You can see that all the ports are clearly labeled. The last step for today is to hook up the speaker. This is what will be giving the user feedback when the device is in use. The speaker will have 2 wires. Take either wire you like and plug it directly above the red wire that you plugged into the breadboard. This will ground one side of the speaker. 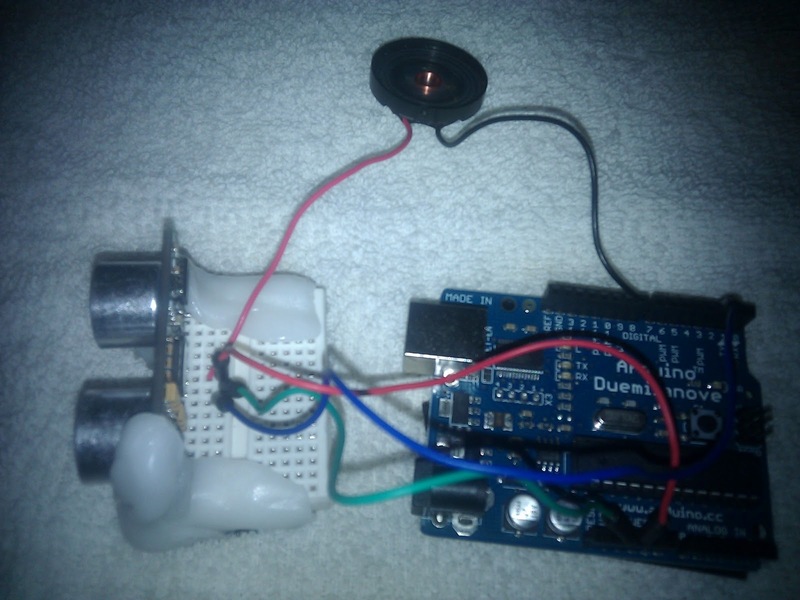 Take the other speaker wire, and plug it into pin 8 of the Arduino. That's it! Good job everyone, you have just wired up the electronics on the BAT Sleeve! Next time we will program the Arduino, which will give you a working device! After that, I'll show you how to make a sleeve to mount it on the hand! 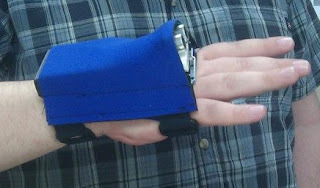 Today I'm going to give you a run-down of the basic parts you need to make the electronics for the BAT Sleeve. Because I know a lot of you are new to electronics, I'm sticking only with the electronics, and not the stuff you need to make the the sleeve they will mount on. Not to worry, that is coming later in the week. You need a micro-controller. This terrifying sounding thing is essentially the brain of the device. 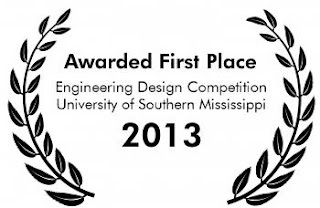 For this design I'm using an Arduino Duemilanove that you can buy from Amazon by going here. The Arduino platform is a neat piece of hardware, designed to be easy to use, and there is an AMAZING amount of documentation on the thing. This is our brain, go get one for this project. I don't want you guys to have to do fabrication of any fancy boards for the electronics, so this design will be using a solderless breadboard for the wires to connect to. This makes it so that you can quickly hook up and unhook wires, do fast modifications, and so forth. The one I used you can find here. 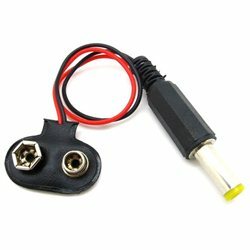 We need power for the device, so for you guys I picked out this 9V adapter. It will work great with 9V batteries. On mine, I took a more difficult route that involved stripping wires and creating connections, but I can assure you that this adapter will work fine for you. Get it here. 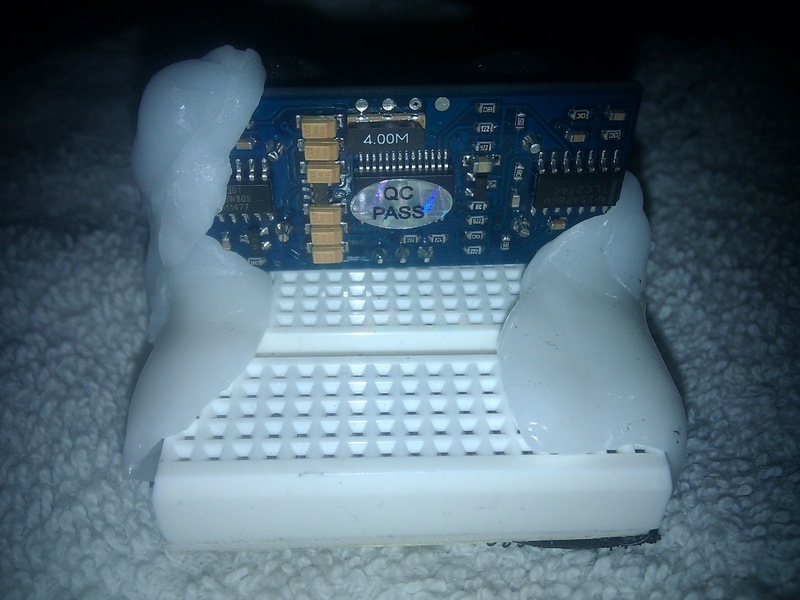 We need some way for the Arduino to be able to pick up information about the world. 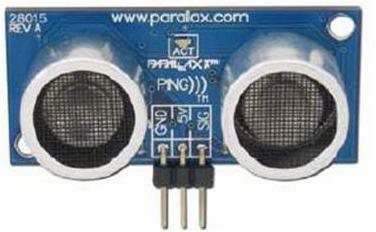 For this we will be using a PING))) Ultrasonic Sensor. This thing sends out high frequency sound, then analyses the echo to figure out how far away objects are. Also, not to worry about guide dogs, the sound frequency is so high that even dogs can't hear it! You can pick up one of those here. That does it for the major stuff. You will need some other things though. You will need a small speaker, and by small, I mean SMALL! I was able to get mine by going to Radio Shack and looking through their parts bins, but I can't seem to find it in their catalog. Just ask the clerk for a small speaker for an electronics project and they will hook you up. Unless you feel comfortable soldering, make sure that it has two wires coming off of it. You also need some wire. While you are at Radio Shack, pick that up. I recommend wires that have been pre-cut with terminating ends for breadboarding. Normally they come that way in a grab bag for only a few dollars. To see what I'm talking about, go here, but I can assure you that you don't need nearly that many wires! 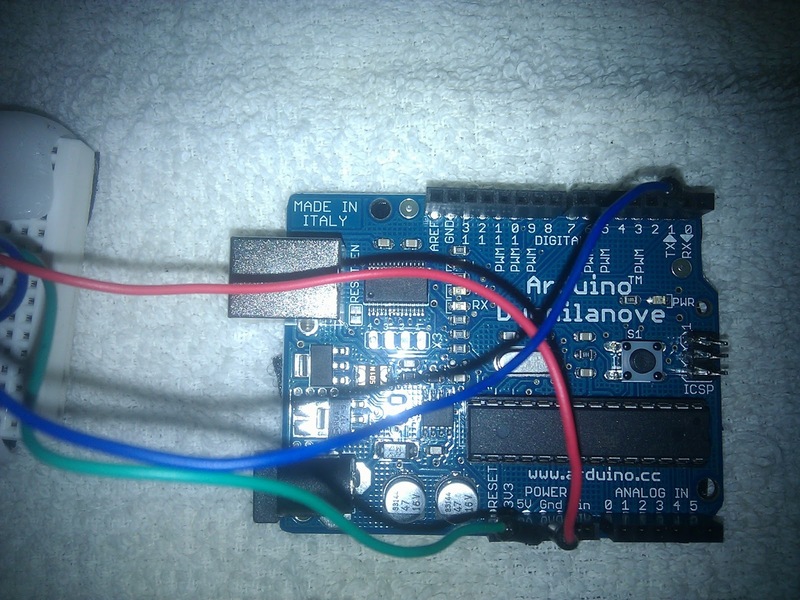 You will need a USB cable for programming the Arduino. The one off the back of your printer will work just fine, so you probably don't need to buy one. You need at least one 9V battery. Better get a couple though, nothing like having something not work, only to discover that you had a dead battery! As far as electronic parts go, that should be everything you need. Tomorrow we assemble the components! Finally we get to have some fun! Part of being a rockstar means that you get to make cool videos. I'm not sure how cool these videos are, but I made a whole series of math videos in the style of the Khan Academy where I teach mental math. So, if you ever wanted to be able to multiply 63 times 67 in your head and have the answer (4221) in under 3 seconds, check out the videos. 'Welcome' is a bad term to use. After all, this is a blog format, which means that you will see the newest posts first. Since this is my first post, odds are that it will be the last thing you read on here. Either way, I'm glad you're here. I'm setting up this site to have a central location to show off my many projects that I work on, but beyond that, to give you tools and tutorials so that you can build the same things I do! That is right, follow my lead, and you can trick people into thinking that you are a rockstar engineer like me! The fools! All my inventions, videos, and other content that I post here is free for the good people of the world to use. You can edit my micro-controller code, change schematics, whatever your little heart desires. All I ask is for credit for the original designs and inventions that I post. Hope you enjoy, and use the tools and information I give you guys... Lets get started!